Heat the milk and dissolve the honey. Let it cool and add the cheese, pepper and finally the eggs beaten. Mix all well. Pour this mixture into a greased mold and place it into a larger pan filled with water. Cover and bake until done about 1 hr. 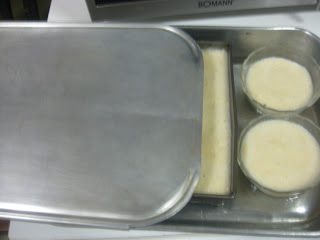 Let cool and remove the custard from the mold. Sprinkle with freshly ground black pepper and serve. Diáz explains that tyropatinam, which is a type of pudding was well-liked in Roman banquets. Apicius provide various versions of it. Fresh cheese was used as cream cheese did not exist in Roman times. Diáz does not give amounts of pepper. 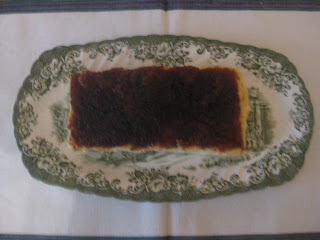 One tsp was used, ½ tsp was added to the puddling mix and ½ tsp for garnish when done.